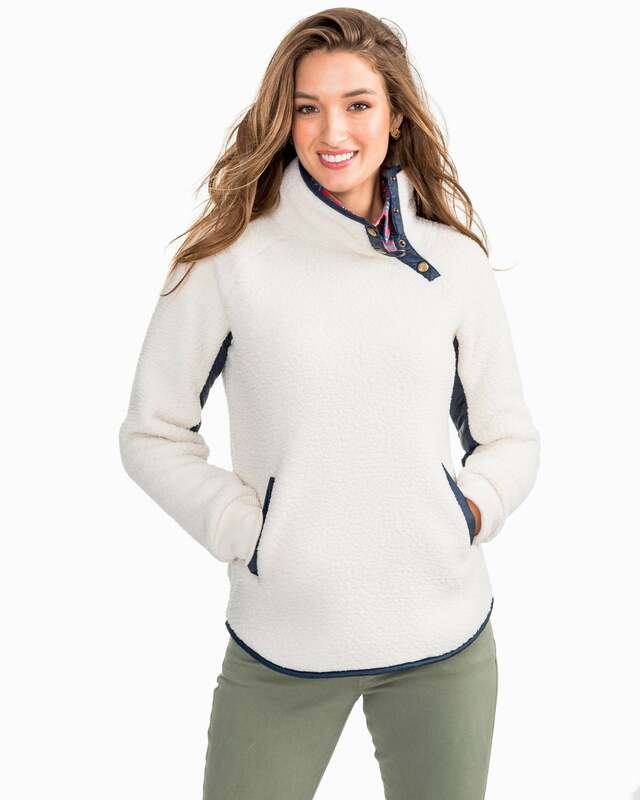 Put this super soft and stylish Sherpa pullover on and we guarantee you’ll never want to take it off. 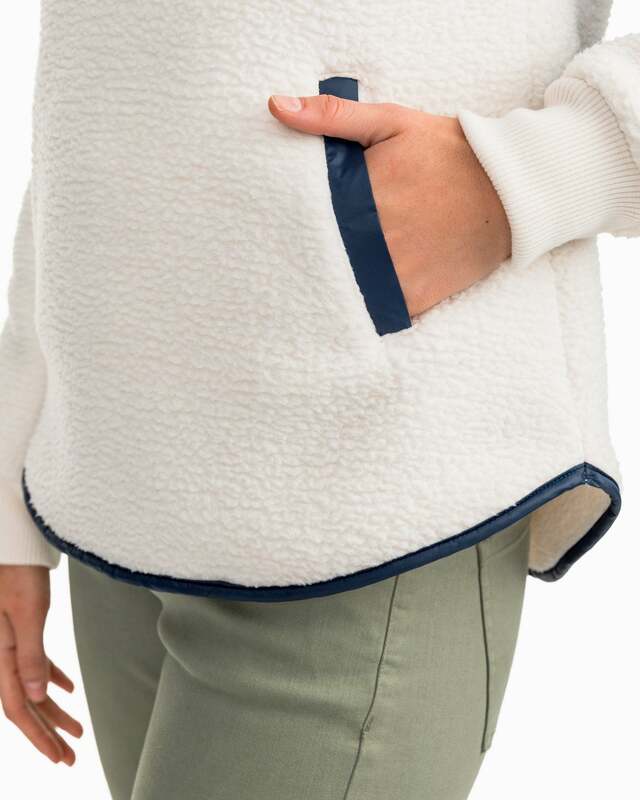 Navy trim, classic quilting and antique brass snaps kick a casual pullover up a notch, making it easy to stay toasty and look polished. 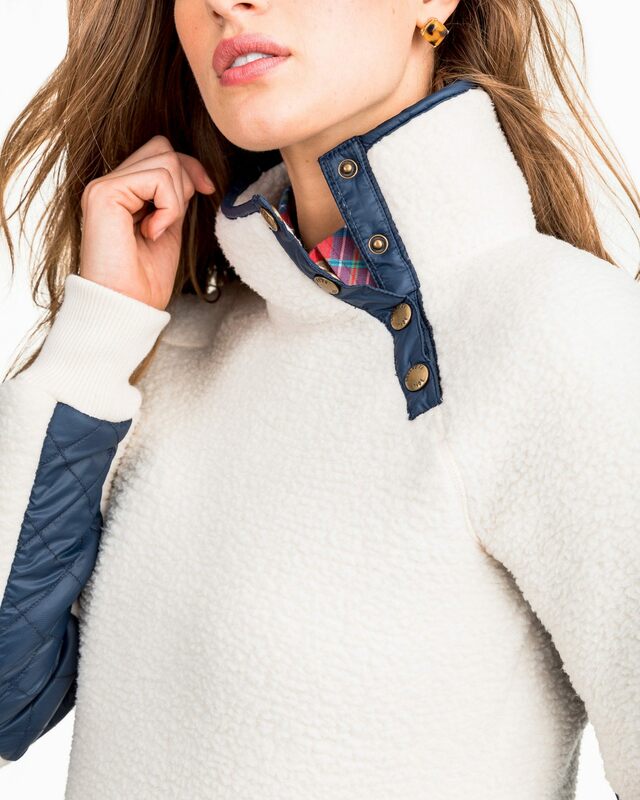 Definitely a must-have for the season!